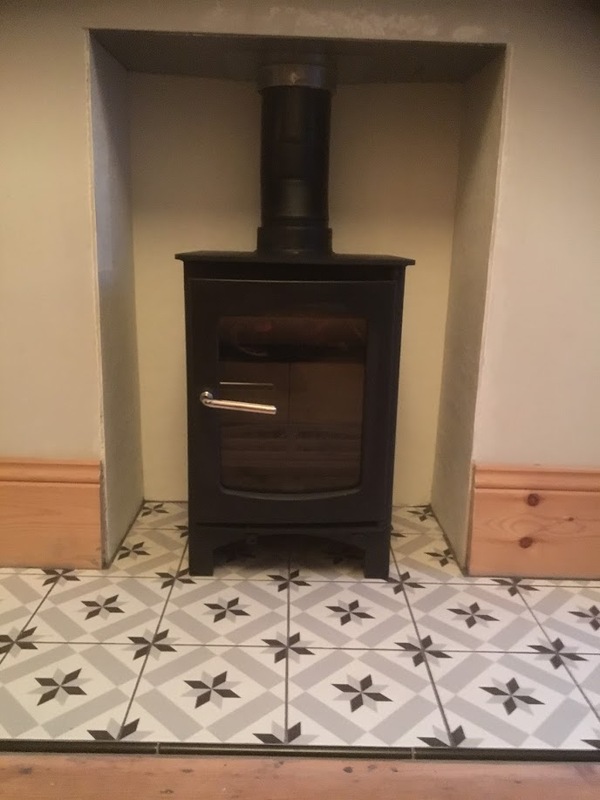 Home › We install wood burning stoves! Before and after ,what a transformation! 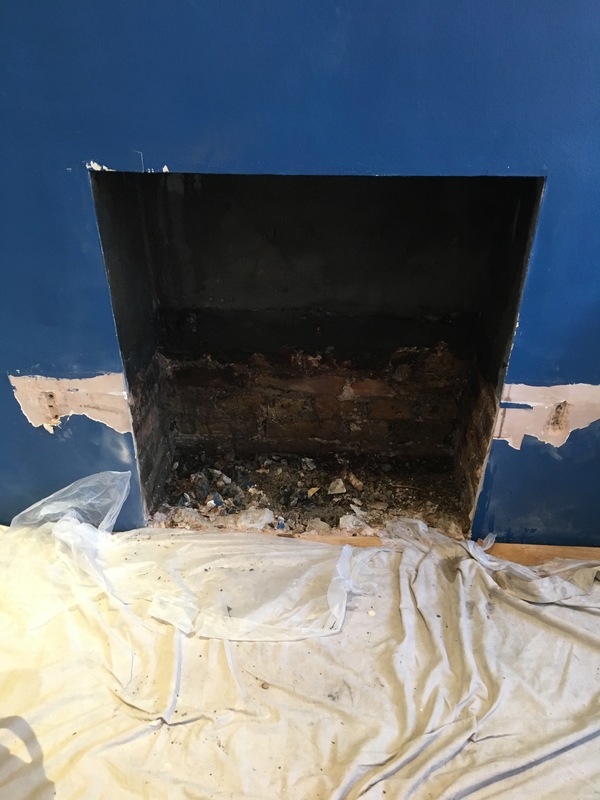 First, an obsolete gas fire was removed along with the existing raised hearth. 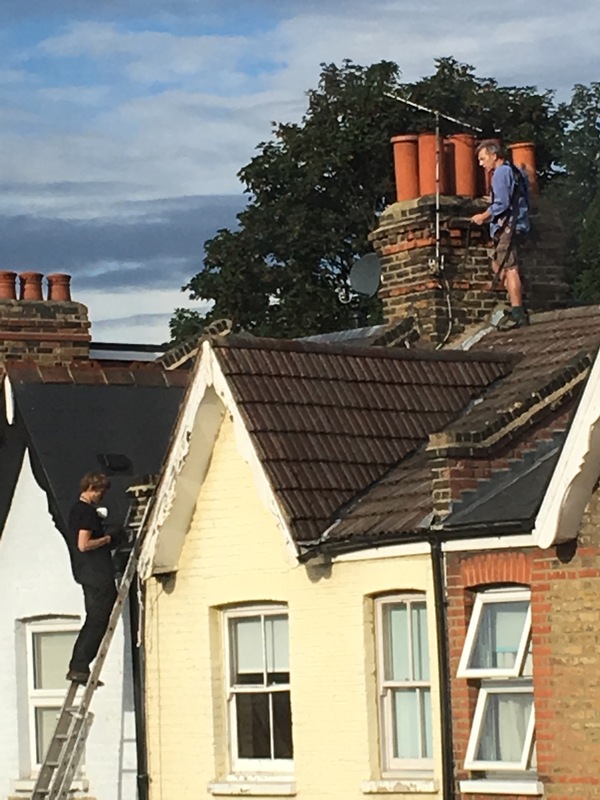 We then swept the chimney, did a cctv survey (to check there wasn’t anything in the flue that was flammable or would obstruct the liner). 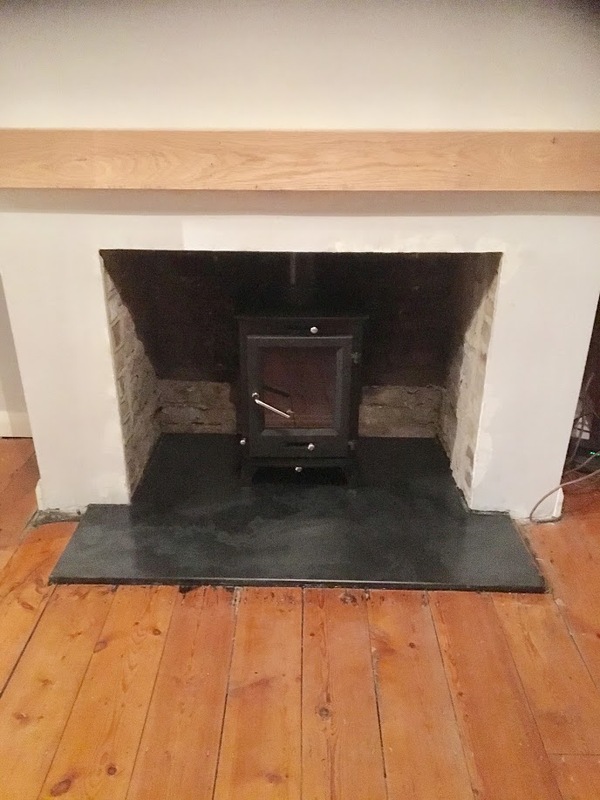 The client had specifically asked for the surrounding render and hearth to be black ,so the cement render was dyed black and black slate was laid for the hearth. We then installed a flexible flue liner. and installed the Ecosys Ottowa 5KW, DEFRA rated wood burning stove. 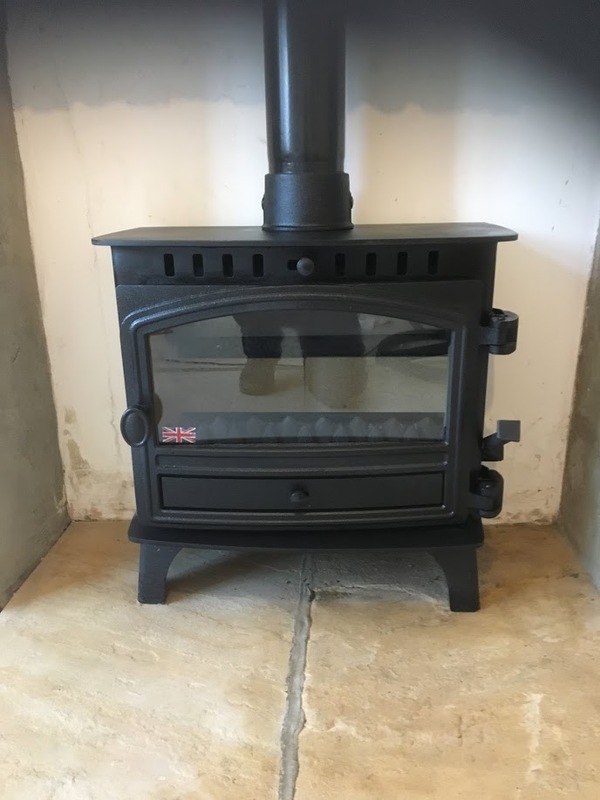 This stove is a popular choice as it is great value, has a high efficiency and looks great! Another high quality , HETAS approve installation done – passed by building regulations! Another before and after photo…. 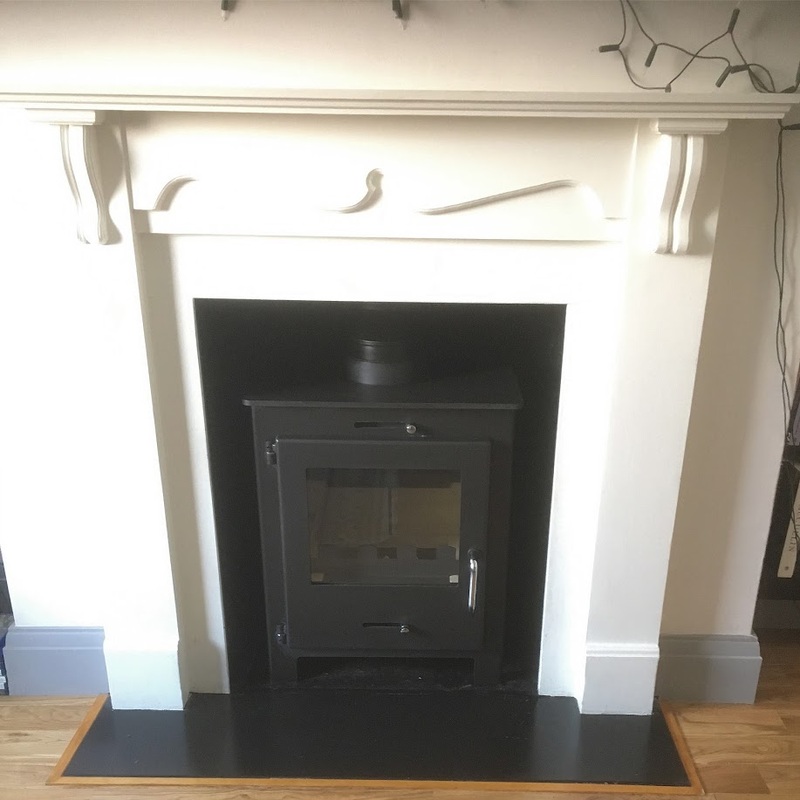 The customer wanted the reproduction fireplace removed and a modern, efficient SIA stove installed. This stove is a Charnwood C – Four Blu and already exceeds the 2022 EU directives for reduced particulates and emissions. 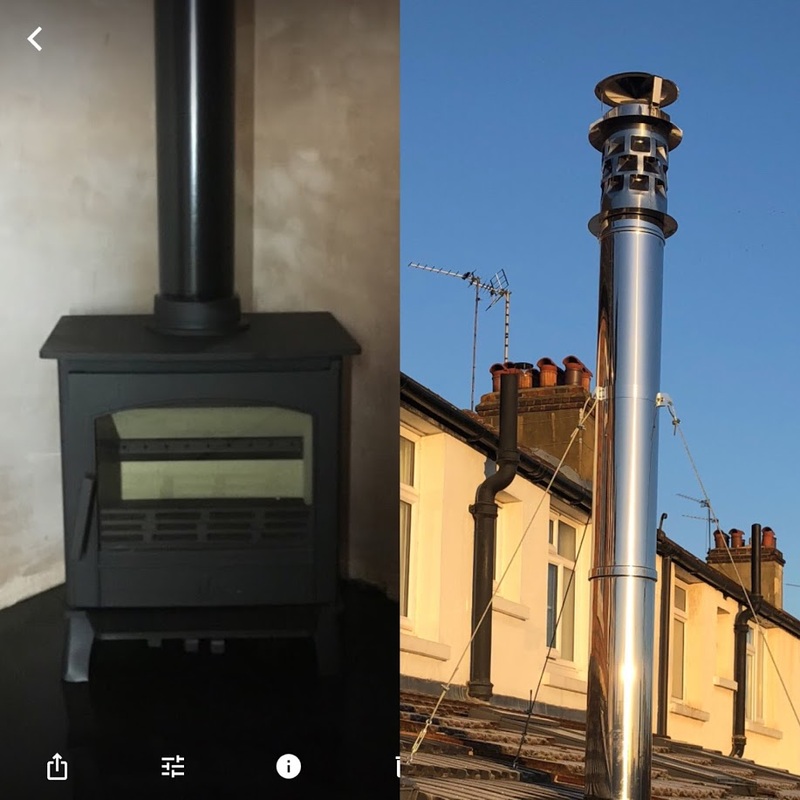 So if you are worried about the issues caused by particulates and any changes to what is allowed in a smokeless zone, this could be the stove for you. This installation of an ACR Earlswood 5kw stove was in a new extension at the rear of the property. It was installed on a corner shaped slate with the twin wall flue exiting from the single story extension. You can see that all the internal pipework was in black and the external in stainless steel. The external part of the flue was anchored using guy wires to ensure its stability. Also, as this was a relatively short flue – 4.5m, we included a Wildcat cowl to ensure a consistently good draw. 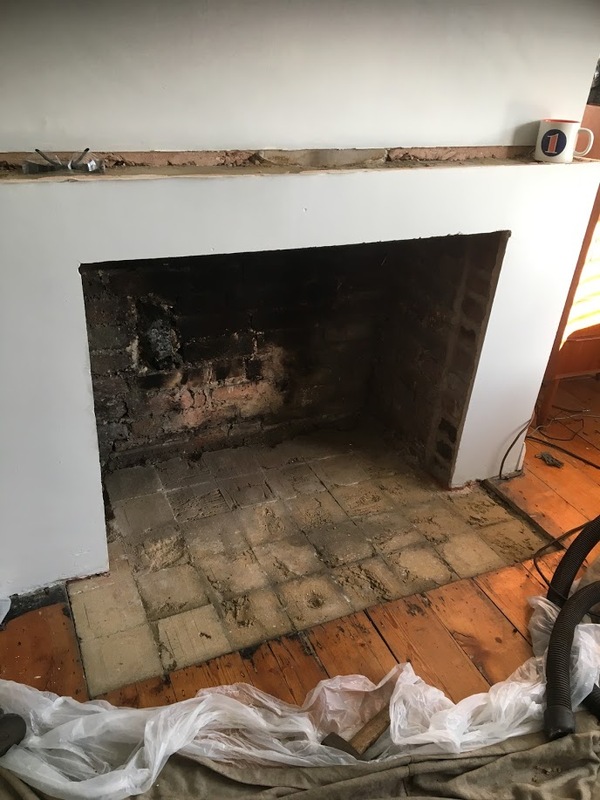 On this installation the decorative wooden surround was relocated to another fireplace in the house, the opening was lined – creating a smooth plastered finish and the hearth was finished with tiles of the customers choice from Fired Earth. 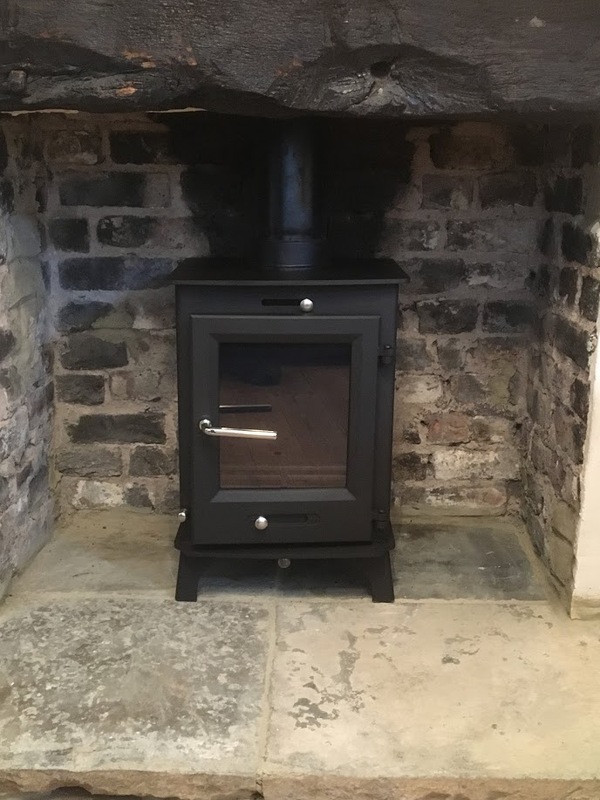 The stove is a 5kw Ecosy Purefire Curve. 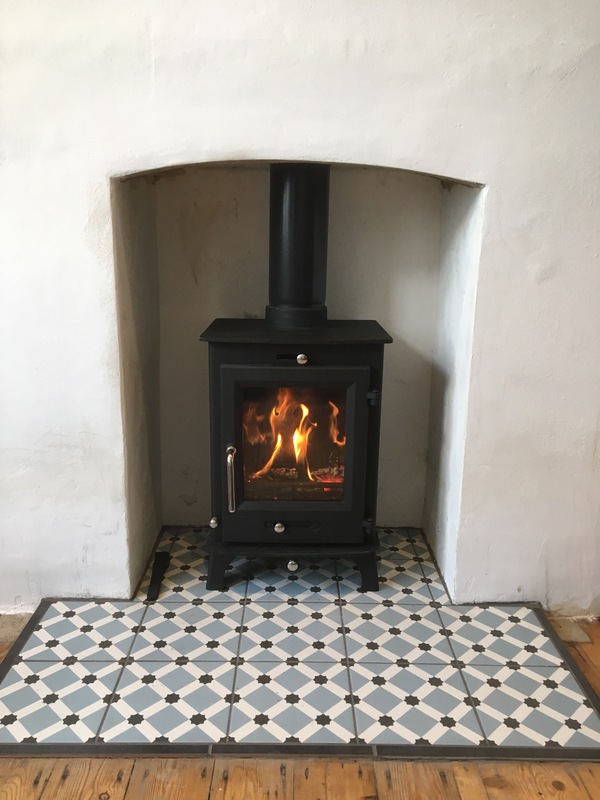 This 5kw iStove was a straightforward installation. The opening and the hearth needed no further work, so a quick install completed in no time at all! On this job we removed the existing tiles and replaced with a single, T shaped piece of black slate. We can supply and fit slate hearths, which can be cut to any size and shape. We also replaced the mantel with a piece of solid oak, which gave this installation a great modern look! 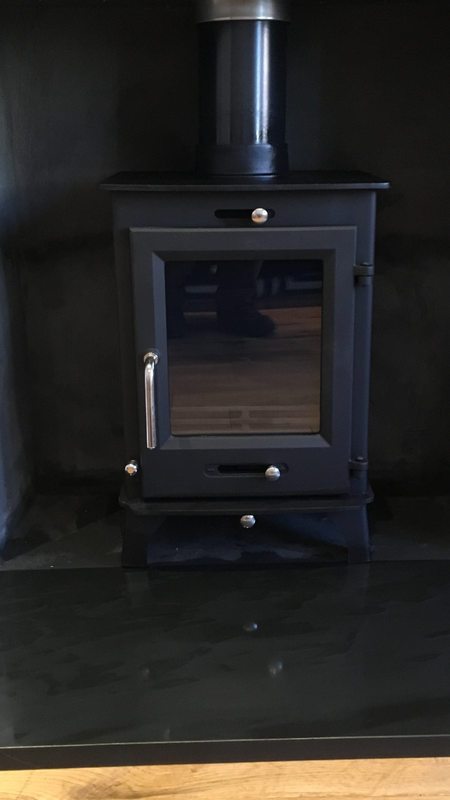 The multi fuel stove was one of our most popular, the Ecosy Ottawa 5kw, which is a DEFRA approved for use in smokeless zones. This installation is also of the Ecosy Ottawa 5kw. But is in contrast to the one above. 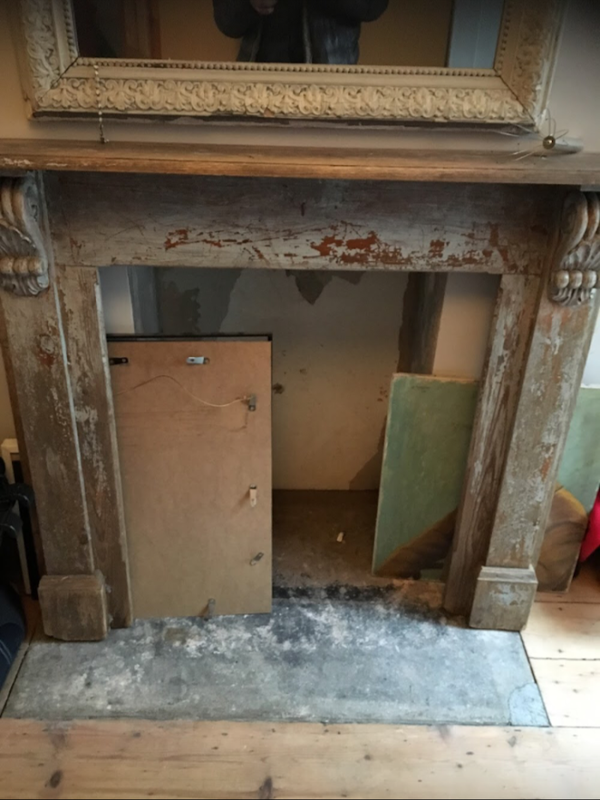 The hearth is york stone and the mantel is a rustic, oak sleeper. A different look, but still a fabulous finish! 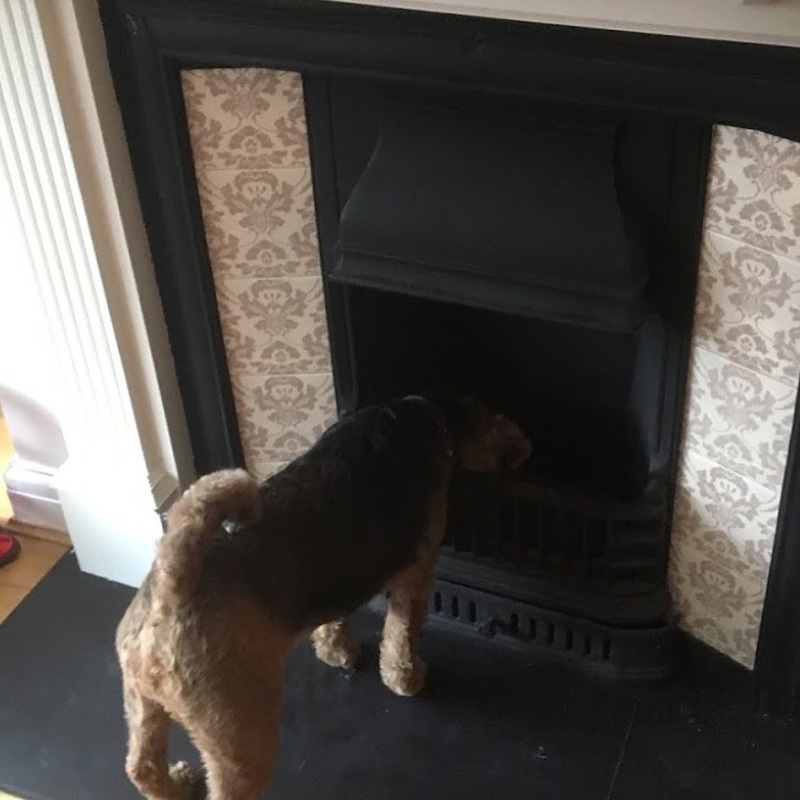 On this job, the customer prepared the opening and hearth – we supplied any technical information that was required for building regulations to make sure there would be no problem signing off the final job with building control. We then lined the flue with a flexible, steel liner and installed this Hunter Harrier multi fuel stove. 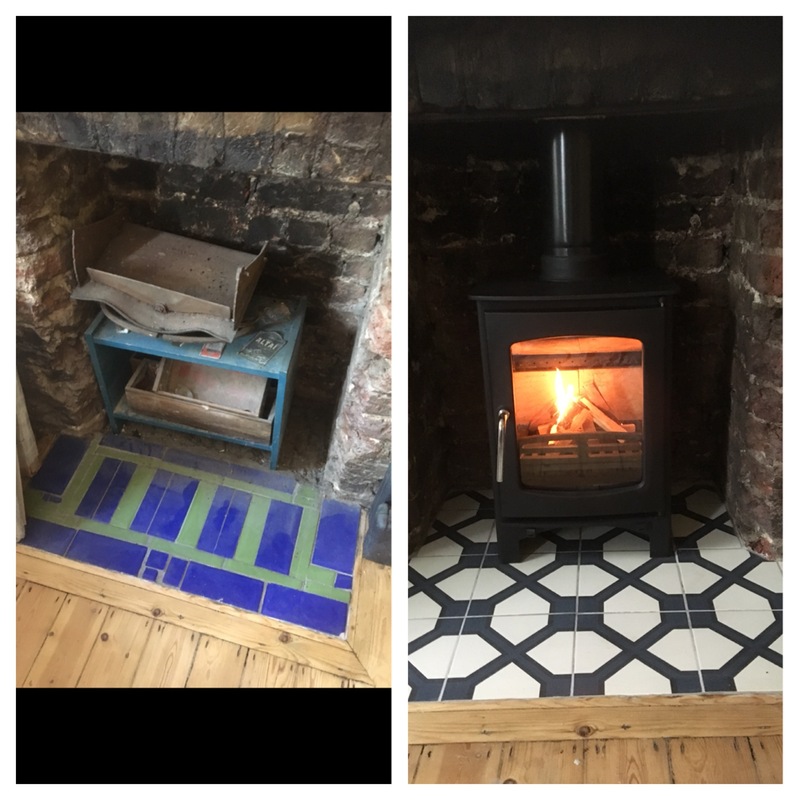 This installation in Camberwell also shows the hearth being re tiled in tiles from Fired Earth and features the ever popular Ecosy Purefire Curve multi fuel stove.